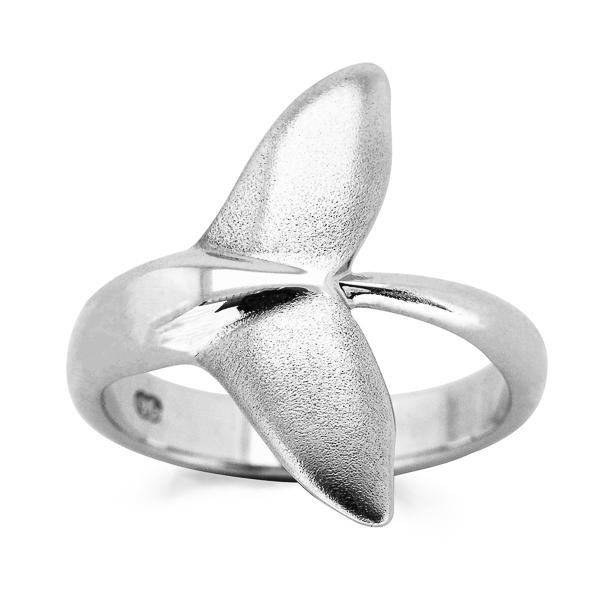 This whale tail ring features two humpback whale flukes intertwined and embracing a flower with a glittering blue sapphire in the center. The flower is an offering of remembrance and love for the many humpback whales killed by whaling in the past and the design represents the need to save and protect this important species. The deep blue sapphire makes this ring a stunning ocean-inspired creation! Available in sterling silver or 9 carat gold (white gold and other metals also available on request). Silver ring comes in our signature World Treasure gift pouch and gold ring comes with a World Treasure gift box and bag. Free shipping worldwide on all orders!